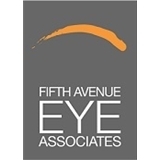 Fifth Avenue Eye Associates (New York) - Book Appointment Online! Our practice is dedicated to the highest standard of care in our approach to routine eye care, medical and surgical ophthalmology as well as facial cosmetic surgery and laser vision correction. Our fully renovated state of the art office and certified operating room located in the heart of the museum mile on Fifth Avenue in Manhattan offers a unique eye care experience which we know you will find unlike any other.